After weeks of speculation over a possible move, MLS side DC United have finally announced the signing of Wayne Rooney from Everton. Their official twitter account confirmed the new signing with #NoWayneNoGain, and released a video with the English striker donning his new jersey with the no.9 emblazoned on it. 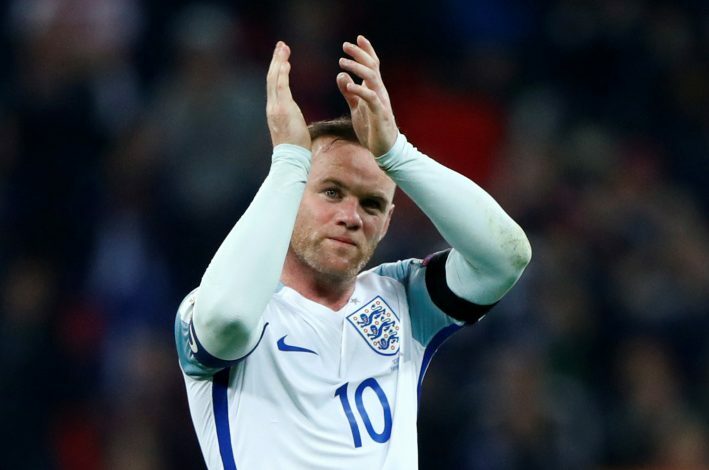 The 32-year-old had made great strides during his time in England, rising up the ranks of Manchester United and England’s scoring chart, and having rejoined boyhood club Everton just last season. However, speculation was strong around the month of May that the lesser-known MLS side was looking to make Rooney their key signing ahead of the unveiling of their new stadium. After Everton manager Sam Allardyce confirmed that talks were on, it seemed all but certain that the legend would, in fact, move to the United States, which has quickly emerged as among the most lucrative and rewarding options for stars of past fame to go and render their services to. Rooney had this to say about the move: “It is fantastic to be joining D.C. at such an exciting time in the club’s history with the new stadium opening. He will now follow in the footsteps of the likes of Steven Gerrard, Frank Lampard, and Zlatan Ibrahimovic with the move. While complete details aren’t out yet, reports suggest that he has signed on a 2-year-long deal which will see him pocket a handsome sum of £10 million, a wage package fitting the MLS. He certainly has an uphill task ahead of him, as United sit dead bottom in their table, and will be hoping that the new arrival and the new stadium will provide them with the adequate momentum.